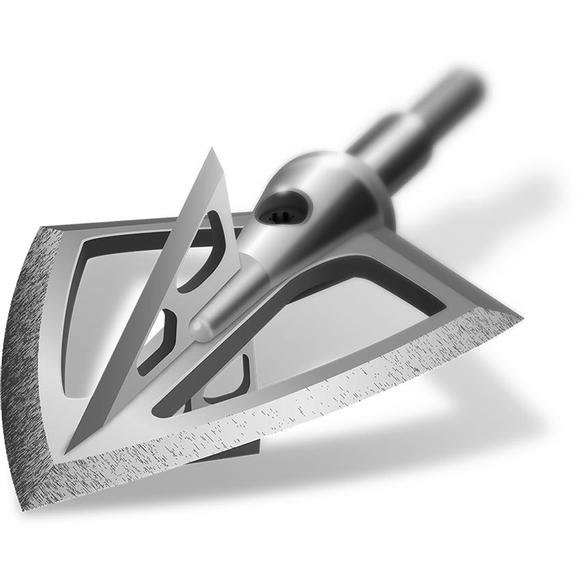 Solid broadheads are made from the same stainless steel that premium knife manufacturers choose for their blades. This stainless steel material is specifically selected for its ability to hold an edge, not to mention that it's tough-as-nails in the field, and resists corrosion from the elements. You won't find aluminum or metal injection molding in a Solid broadhead. Solid broadheads are made from the same stainless steel that premium knife manufacturers choose for their blades. This stainless steel material is specifically selected for its ability to hold an edge, not to mention that it&apos;s tough-as-nails in the field, and resists corrosion from the elements. You won&apos;t find aluminum or metal injection molding in a Solid broadhead. In fact, even the Torx locking screw is stainless steel. With extreme toughness and edge retention, Solid broadheads are hand crafted in the USA for performance, strength, wear resistance.